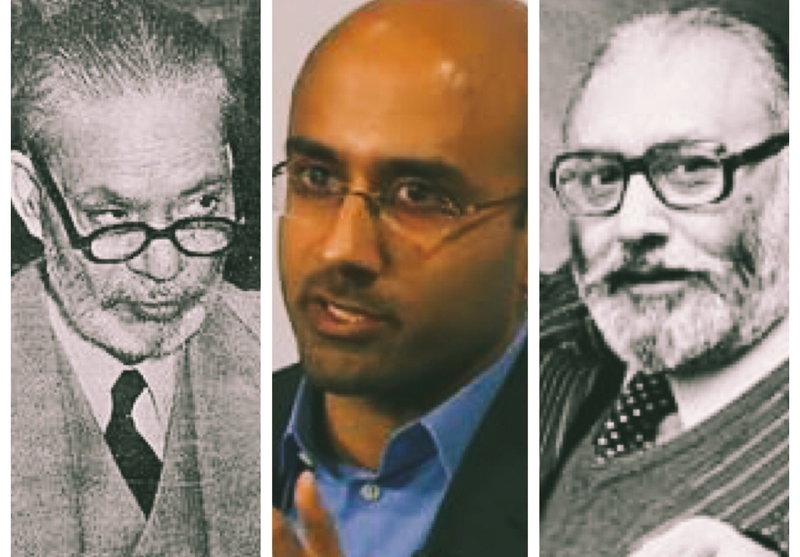 Why don’t Pakistanis talk about Abdus Salam more? 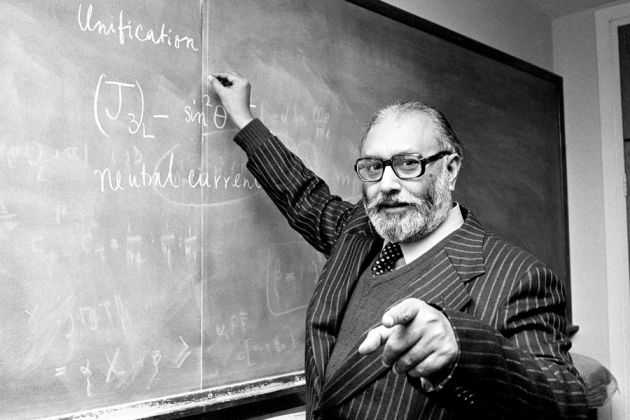 Today is the 93rd birth anniversary of Abdus Salam, the first Pakistani Nobel Laureate. Born in Jhang on January 29, 1926, Salam’s father was an official from the Department of Education. According to nobelprize.org, Salam was welcomed by his entire hometown on his bicycle ride back to home from Lahore, where he had received the highest marks ever recorded for Matriculation. In 1946, he was awarded with a scholarship that would earn him a BA (Hons) degree from Cambridge. Later, he even received the Smith’s Prize for the most outstanding contribution to physics. Salam came back to Pakistan in 1951 as the head of Punjab University’s mathematics department but to pursue a career in theoretical physics, he moved abroad in 1954. After serving as the Chief Scientific Adviser to the President of Pakistan at the time, Ayub Khan and Fazal Illahi Chaudhry, Salam received his Nobel Prize in 1979. He did not use any of the prize money on himself or his family, but to help physicists from developing nations. But why doesn’t anyone in Pakistan really talk about him? In 1980, Salam was invited to Quaid-e-Azam University in Islamabad. However, after reaching the city, the late physicist was barred from entering the university premises due to student members of right-wing parties, according to the BBC. The reason? Sectarian hatred caused by a 1974 law that declared the Ahmadiyya community – to which Salam belonged – as non-Muslim. Pervez Hoodbhoy, a physicist who was among the organisers, said, “The ceremony was organised to honour Dr Salam, and was to be held at QAU’s Department of Physics, which was founded by one of his former students, Dr Riazuddin. 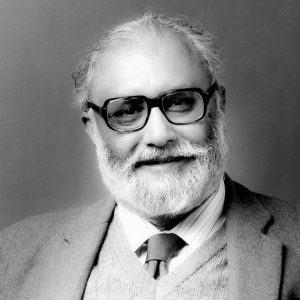 The situation grew extremely tense; I clearly remember, they were threatening that they would break Dr Salam’s legs if he dared enter the university campus; we had to call off the programme.” Ever since, there has been no mention of Salam – even in our history textbooks. Any mention of his name provoked a backlash from those who claim themselves to be the “guardians of the faith”. It wasn’t until 37 years later that Nawaz Sharif – then Prime Minister of Pakistan – took a step to honour him. Upon watching a show commemorating Salam’s 20th death anniversary, Sharif made a phone call asking the National Centre of Physics to be named after the Nobel Laureate. Hoodboy believes that Sharif’s move came as a step to undo the wrongdoing of Pakistan in failing to honour Salam. He said, “The decision shows that Pakistan wants to become a ‘normal’ country, and Nawaz Sharif would like to change its image from a state promoting extremist ideologies to one that can overcome obscurantism and own up to its heroes, Muslim or no Muslim.” But the very next day, the Ahmadi sect’s headquarters in Rabwah was raided. Four people were arrested and a printing press was shut down on claims that it was publishing “hate material”. In 2017, a leader of Sharif’s own party Pakistan Muslim League-Nawaz (PML-N), Captain Muhammad Safdar, launched a tirade against the Ahmadiyya community in the National Assembly and criticised the renaming of Quaid-i-Azam University’s (QAU) physics centre after Professor Dr Abdus Salam, according to Dawn. Read:Who is Atif Mian and why is everyone talking about him? Salam breathed his last on November 21, 1996. His body was returned to Pakistan and over 30,000 people attended his funeral prayers. 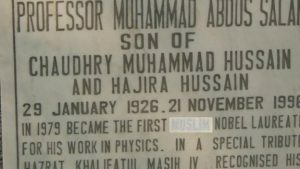 He was buried in Rabwah next to his parents’ graves with a tombstone that read: First Muslim Nobel Laureate. In 2014, his tombstone was defaced and the word ‘Muslim’ was covered. To this day, not many remember the countless scientific contributions he made, to put Pakistan on the world map.